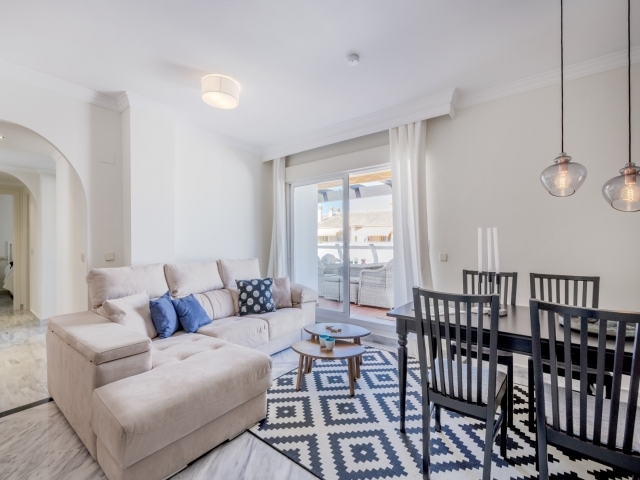 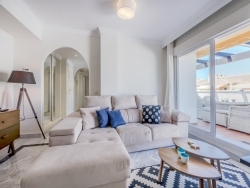 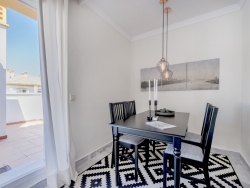 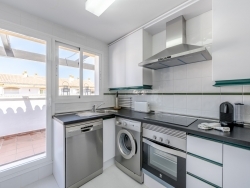 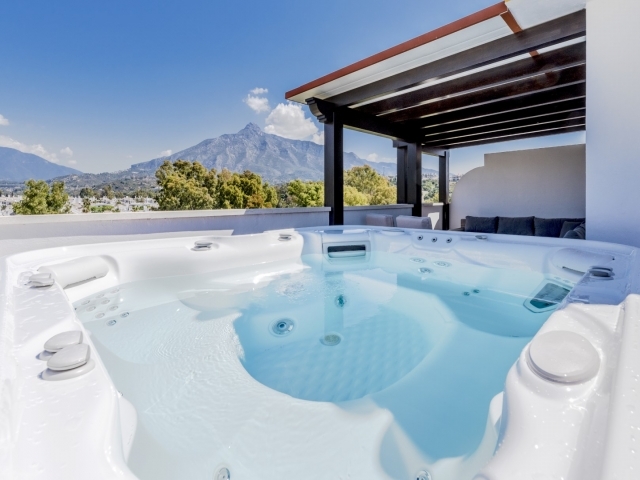 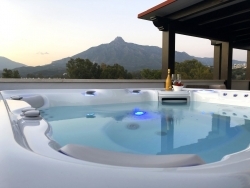 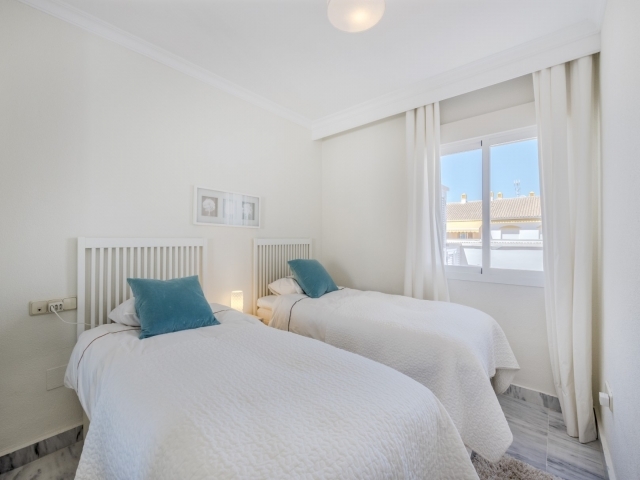 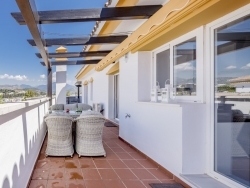 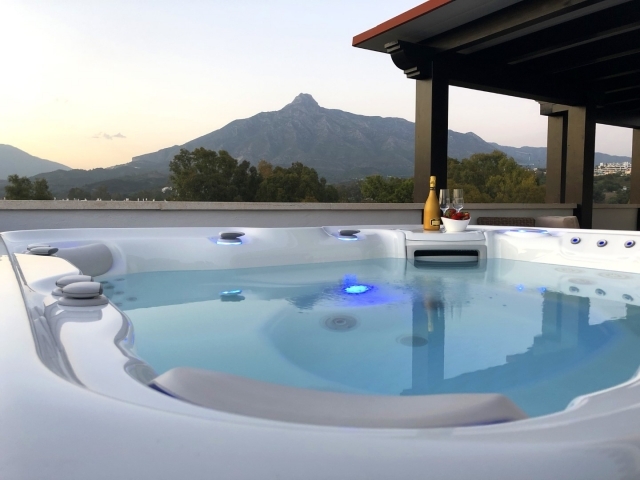 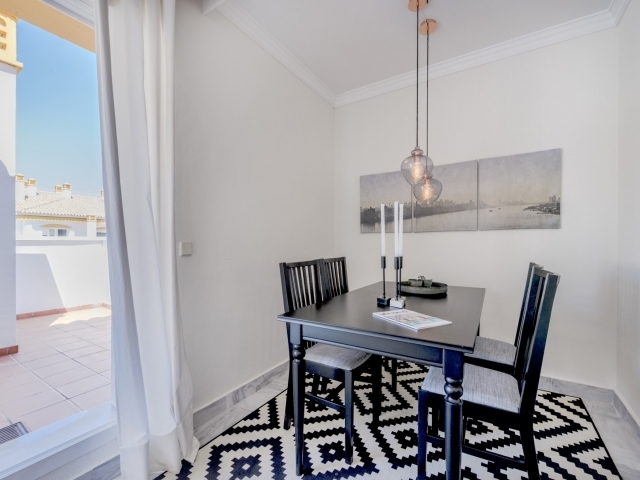 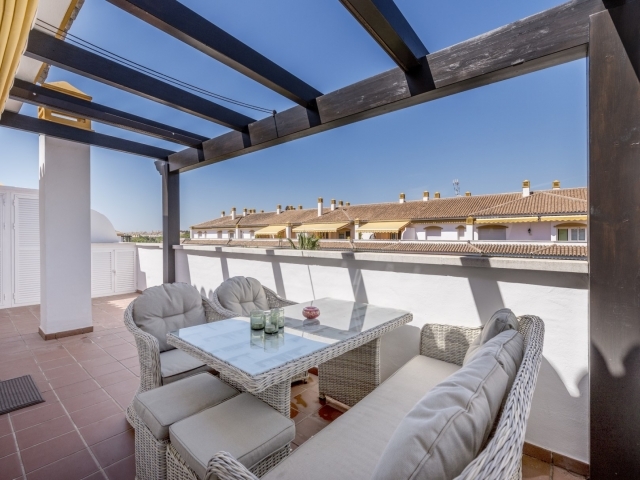 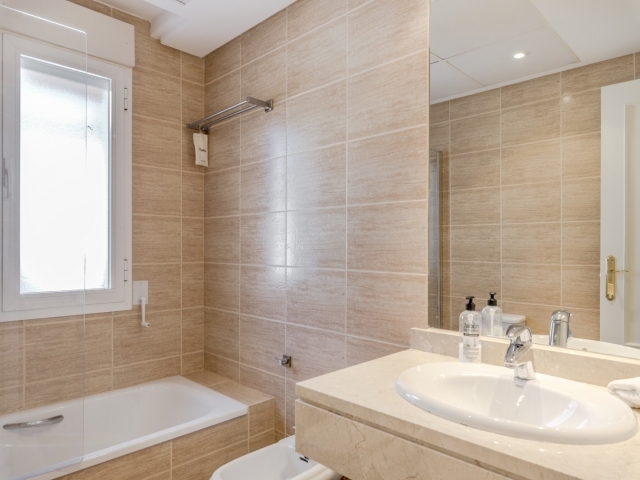 Beautiful two bedroom corner penthouse available for holiday rentals, situated in La Dama de Noche. 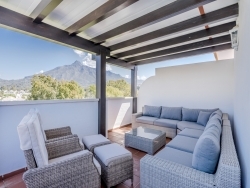 The gated residential community has 24 hour security with guard and video surveillance. 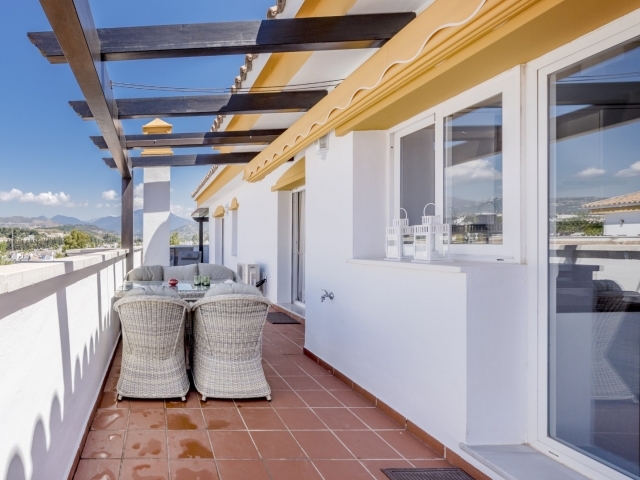 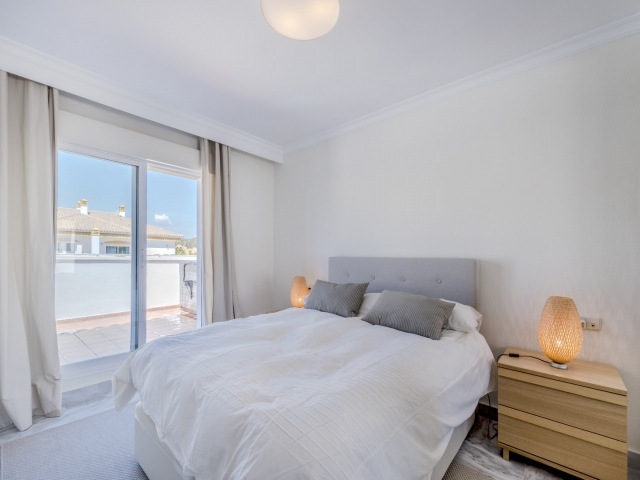 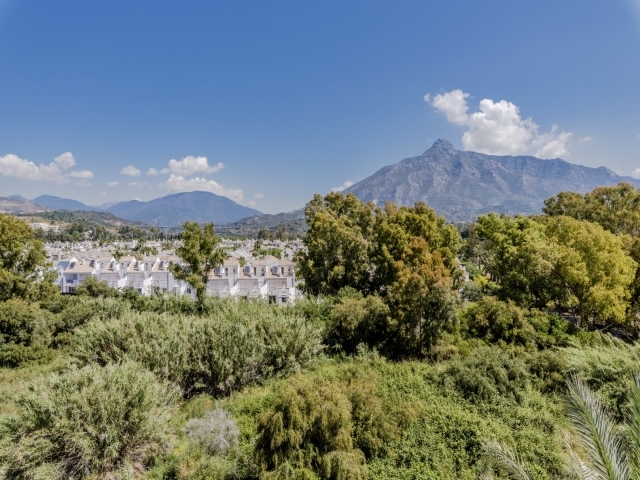 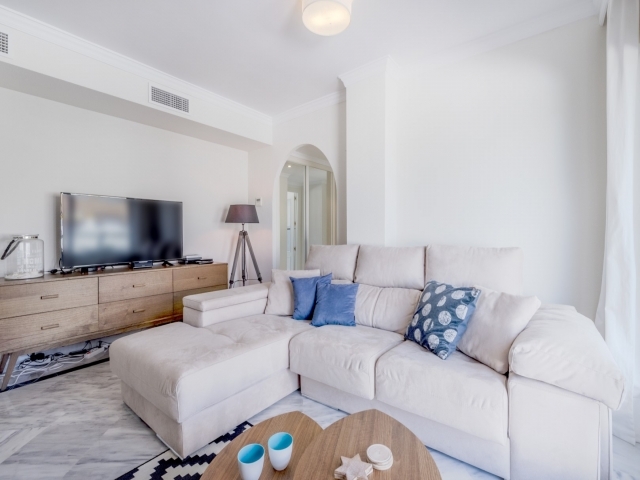 The complex is very popular for holiday makers as it offers two huge swimming pools with plenty of space for sunbathing, padel tennis courts, well-maintained garden areas, an on-site café and mini market. 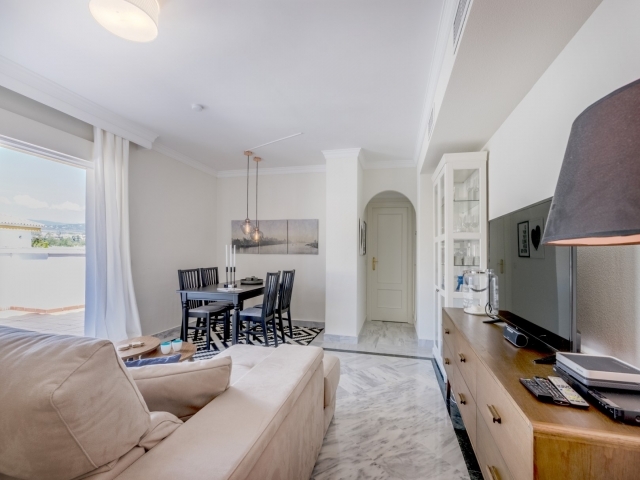 Combined living and dining room with comfortable sofa and TV area, leading out to the terrace.